It seems that our order for a ZeusMiner Blizzard has been finally shipped yesterday (Order #2054 ), so it seems that the company will most likely be able to do what they have promised. That however does not make the Blizzard an interesting buy other than for testing, and that is precisely why we did order the unit, so that we can review it and try the Zeus Scrypt ASIC chips. 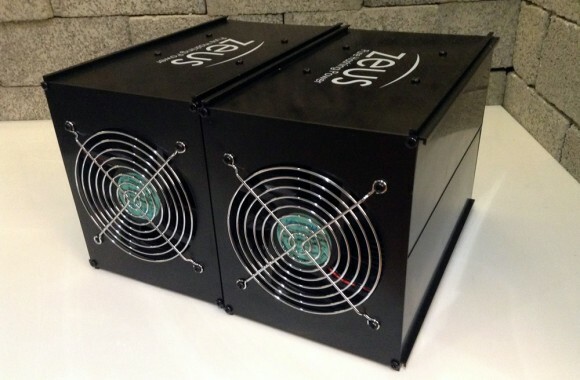 Meanwhile Zeus has announced they are going to e releasing a ZeusController image for Raspberry Pi with a web-based interface for their miners and apparently they are also working on offering miner hosting options for customers that request it. With the reports we are seeing on higher actual power consumption than what was previously announced as official specs, a hosted option may not be a bad option if the price is right. Zeus also announced new prices for Batch 2 orders that are supposed to start shipping on June 15th, the new Hurricane and Thunder miners will also come with new and improved cases. But there is no word on optimized firmwares yet to help users get the best performance/power usage ratio. Also BATCH 1 customers will get an additional 10% off for one order from the second batch, and if you are already an existing BATCH 1 customer, you automatically qualify for the more free stuff If you place an order for the same amount of higher for BATCH 2. It is up to you do decide if it is worth ordering, for us, well we are waiting for our first miner to see how things are actually working.